1 photograph : b&w ; 5.75 x 7.5 in. 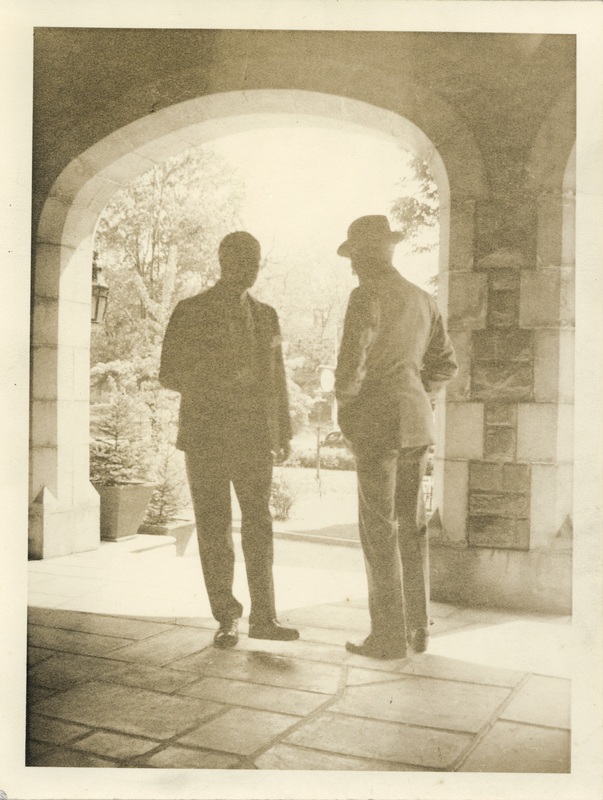 Item is a photograph of two unidentified men (one of whom is probably Arthur Stanley MacKenzie) standing by an outdoor arch on a terrace or walkway. Photograph was previously located in PC2, Box 5, Folder 2.